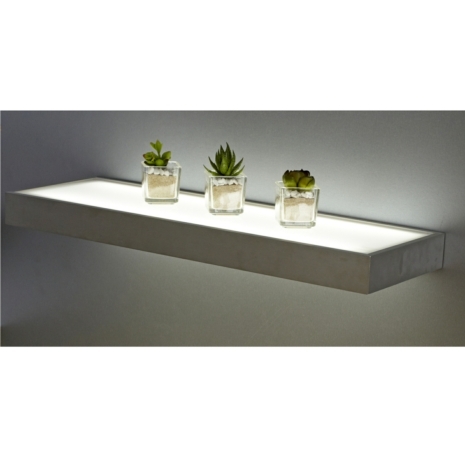 This stunning Sirius LED Box LED Lighting Shelf can completely change the mood and atmosphere of a room, usually a bathroom or wet room. It fixes flush onto a wall and is easy to install - perhaps the most amazing feature of this shelf is that it powers itself and doesn't need any ugly cables hanging out. The estimate lamp life is 3.4 years of contiunuous use. This is a truly remarkable product and one of our most popular. If you've got any questions about flating LED shelf then don't hesitate to call and speak with one of our specialist advisors. 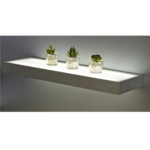 The Sirius floating box shelf is easy to fix onto the wall and makes a stunning addition to any room. 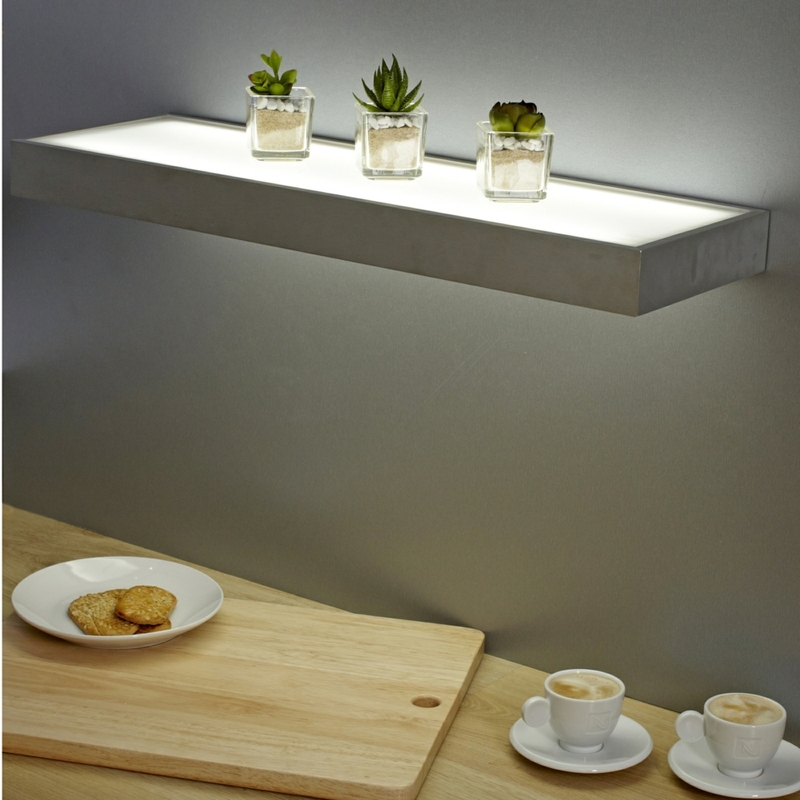 Unlike other illuminated shelves, the Sirius shelf is mains powered and the cables can be easily hidden, so there is no need for unsightly cables to be hanging beneath the shelf. The shelf has approximately 30,000 hours of life, emitting a natural white light, which can give the illusion that the shelf is 'floating' when the rest of the room is dark. Our shelves are 5 years old and both bulbs have stopped working. How do you replace new bulbs or do you have to buy new shelve.? 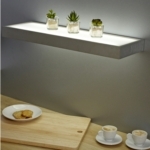 Can this shelf be mounted on an internal plasterboard wall? It says in the description that it powers itself. I'm assuming that is incorrect if it is mains powered? Does this have an on off switch or PIR sensor? Also, is it mains powered or plug in? 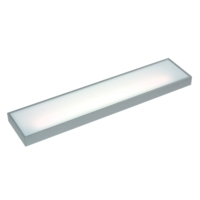 Can you supply this LED version in white? Unfortunately this shelf is not available in a painted white version.